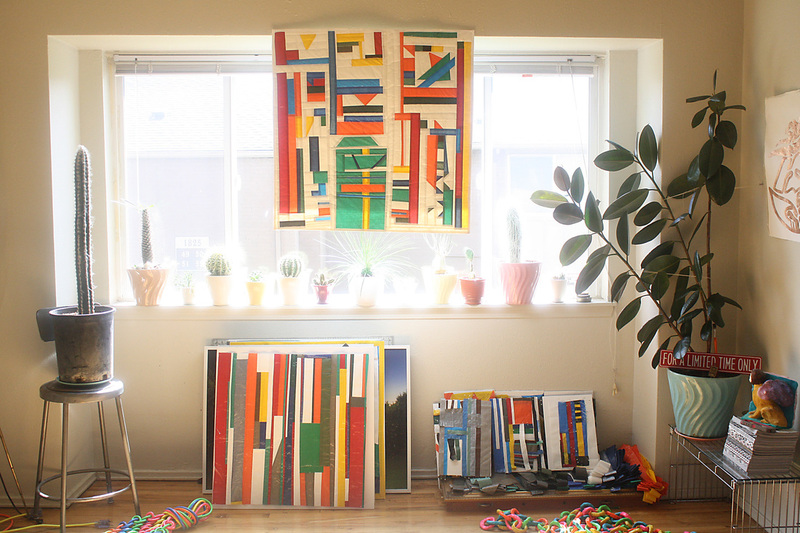 In the spring of 2015 I was invited by Jason Sturgill to work with four teams of four 4-year-olds to make four "chaos quilts" in Michelle Proctor's pre-school classroom at Tucker Maxon, a public elementary school in SE Portland that has an extensive history of working with children with hearing impairments. 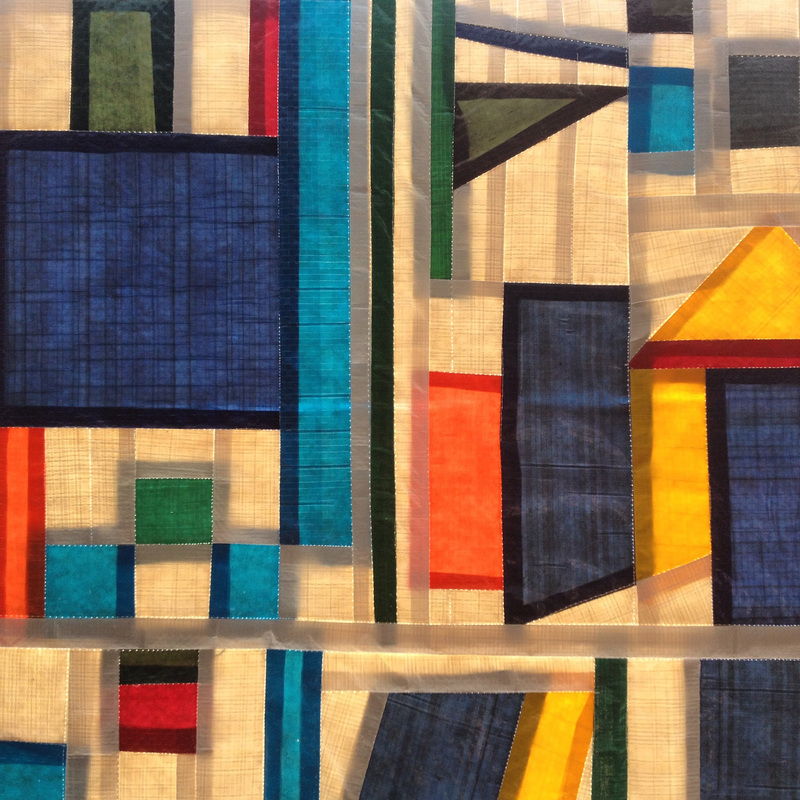 The quilts were auctioned off at Tucker Maxon's annual fundraiser gala to secure additional funds to provide technology and therapy to children with hearing loss. My grandma is 100% deaf in one ear and has significant hearing loss in the other due to untreated childhood ear infections, so this project felt deeply personal to me. 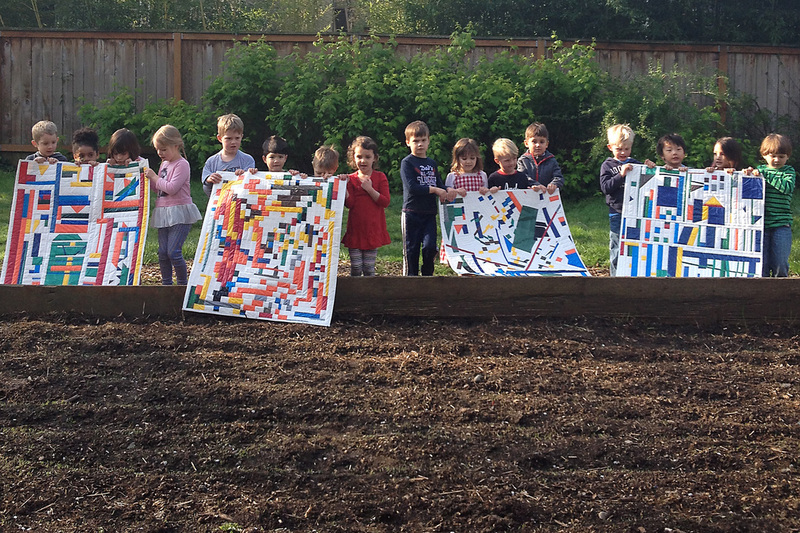 Pre-school children in Michelle Proctor's class at Tucker Maxon Elementary show off their "Chaos Quilts," by Wynde Dyer (2015). 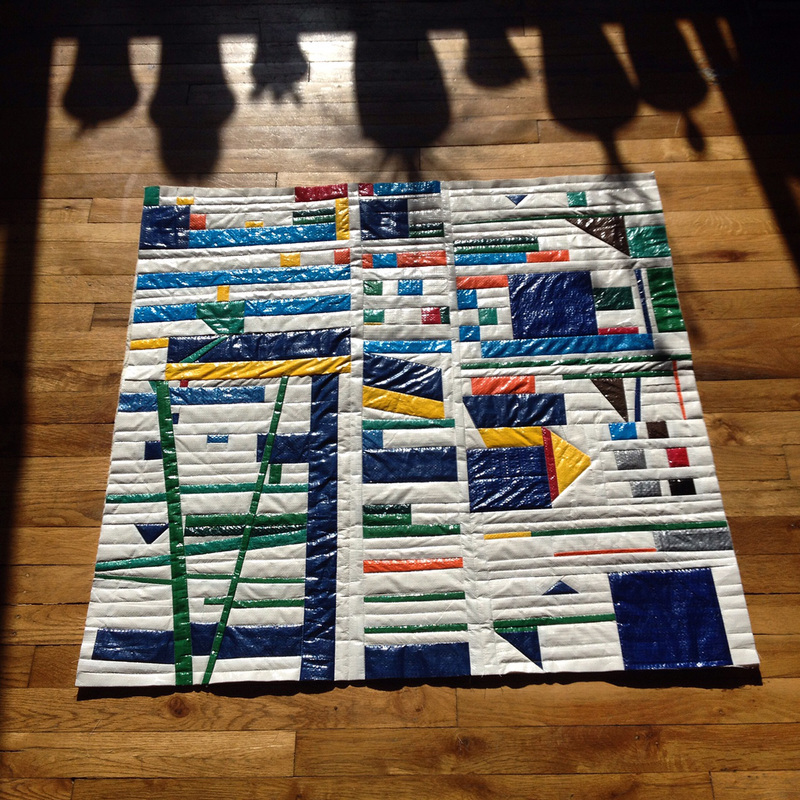 "Chaos Quilt no. 1," by Wynde Dyer (2015). Tarp, batting, thread. Approx. 34" x 34" unframed. AUCTIONED. 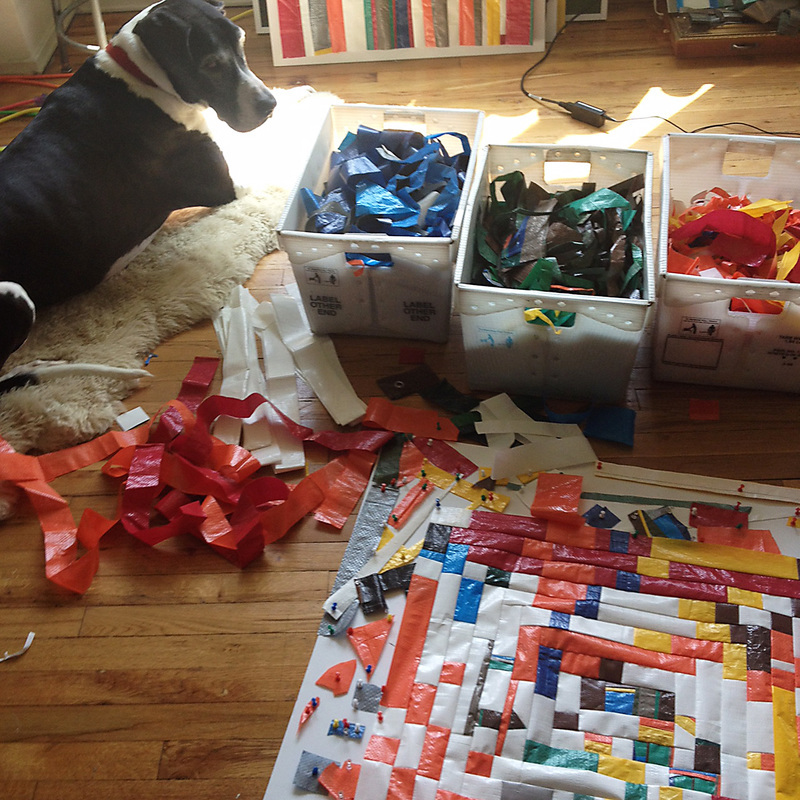 I had previously worked with children aged 4-15 on the Utility Quilts project, but I had never worked with a whole room of 4-year-old kiddos. The activity was certainly do-able, but it required more adult supervision and more hands-on adult assistance with scissors and thumb tacks. The preschoolers made a huge mess! 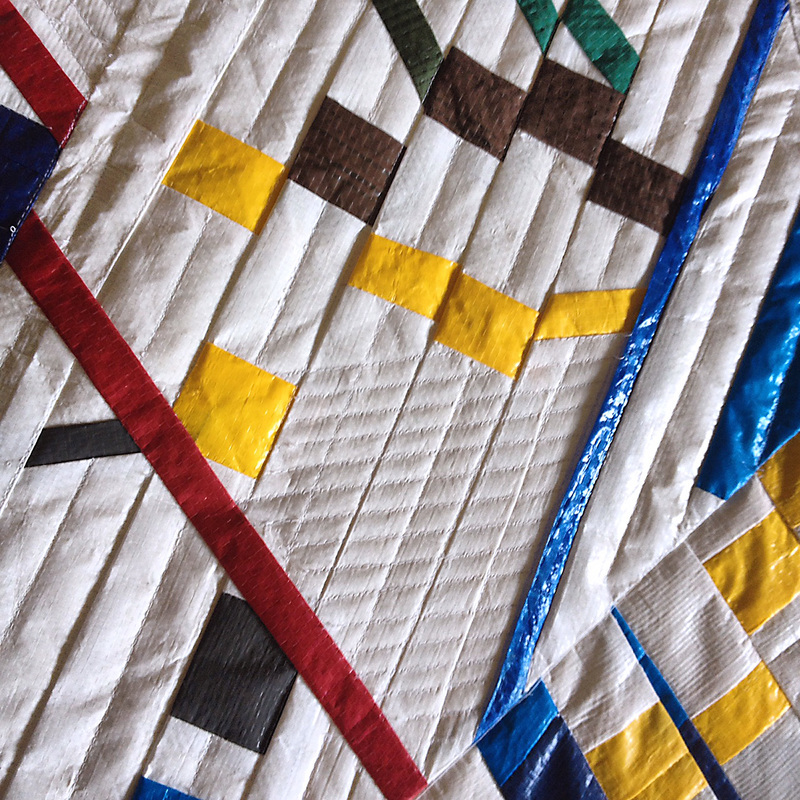 The level of detail and complexity in these quilts was much higher than it was in any of the Utility Quilts. It was a serious challenge to remind myself, "You only have to get at the essence of what the kids designed, you don't have to replicate their designs exactly." This balance between authentically representing the youngsters' visions, all the while allowing myself the artistic/technical license to do what works or what looks good was a key learning for my future work. Backside quilting traces on "Chaos Quilt no. 3," by Wynde Dyer (2015). Before the binding went on "Chaos Quilt no. 3," by Wynde Dyer (2015). Piecing and quilting detail of "Chaos Quilt no. 1," by Wynde Dyer (2015). 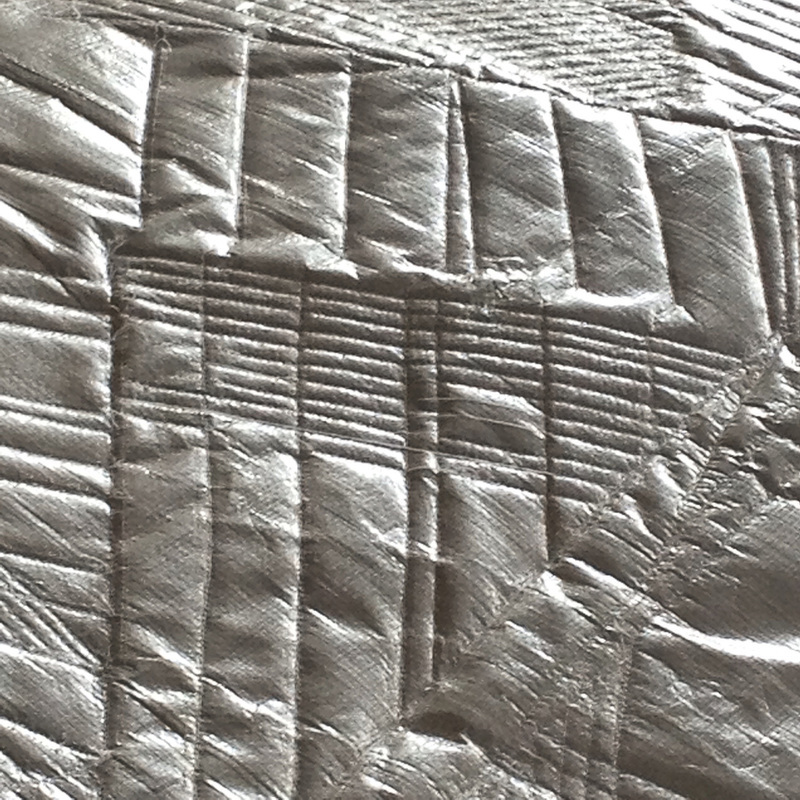 Detail of backside quilting traces on "Chaos Quilt no. 1," by Wynde Dyer (2015). 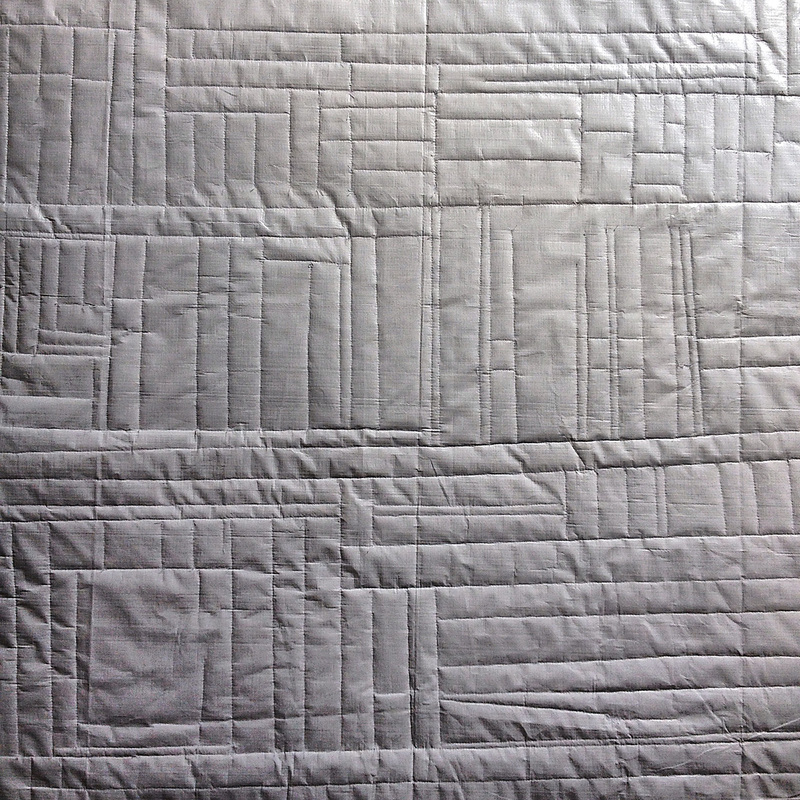 "Chaos Quilt no. 4," by Wynde Dyer (2015), doing its glowing in the window thing. 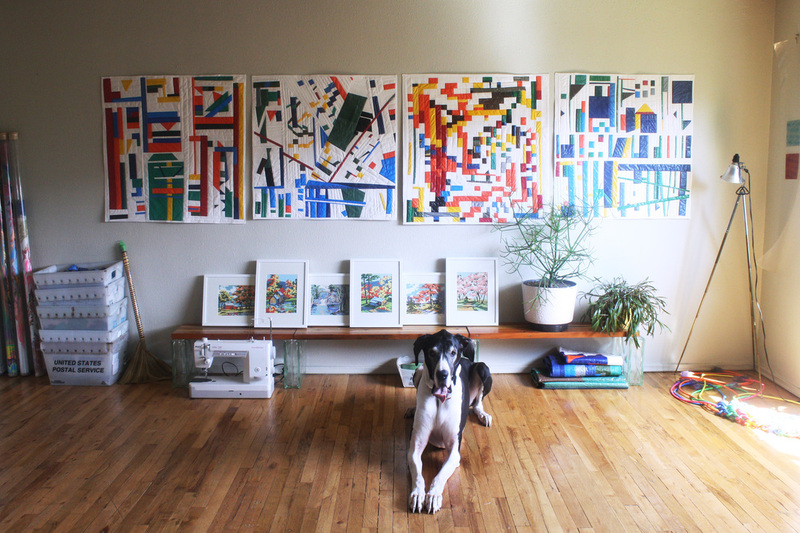 NOTE: None of these pieces are available for purchase. They were auctioned off to supporters of Tucker Maxon at their 2015 annual fundraiser gala. If you would like to discuss commissioning an approximate replica of one of these pieces, please contact me at wyndedyer@gmail.com for details on commissions.